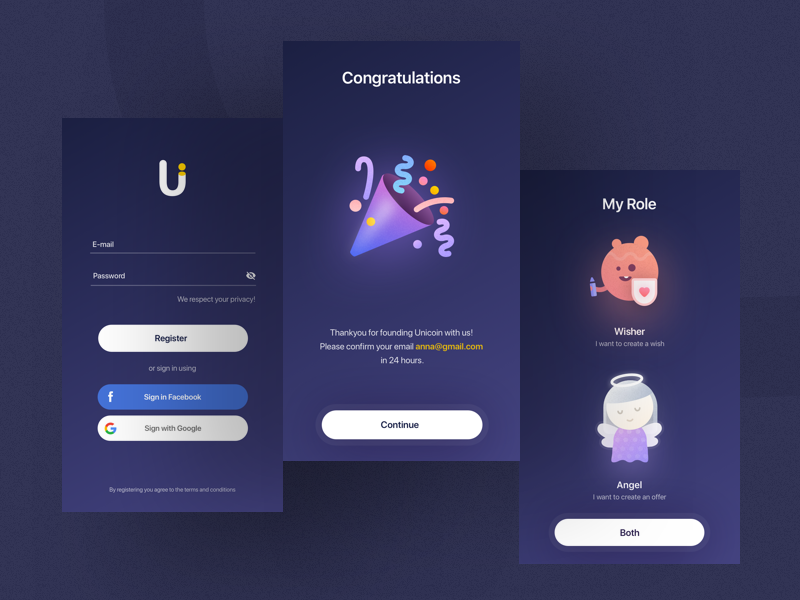 Today I have for you onboarding from our upcoming project UniCoin. I’m pumped to share this work in progress part so early. Finally I had a chance to work a little bit on my illustration skills.